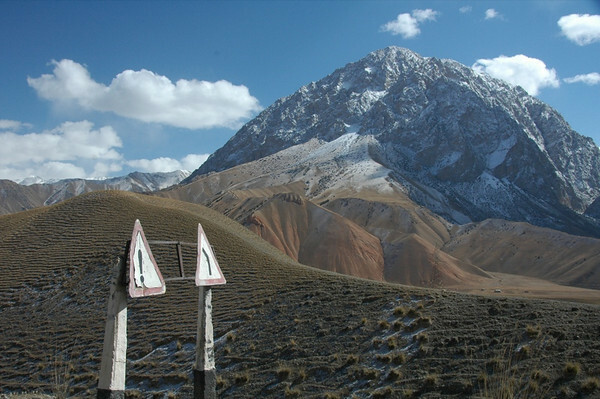 Road trip photo highlights on the Pamir Highway from Osh, Kyrgyzstan to Murghab, Tajikistan. 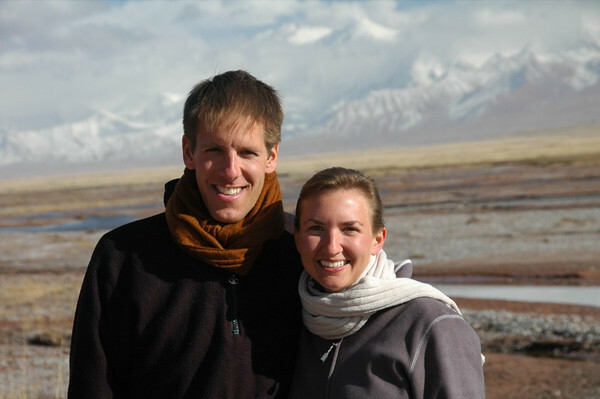 Read more about our adventures in the Pamirs. 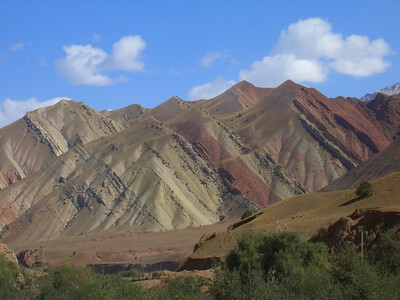 Some colorful candy-like mountain scenes mark the road from Osh to Sary Tash, Kyrgyzstan. Read more about our adventures in the Pamirs. 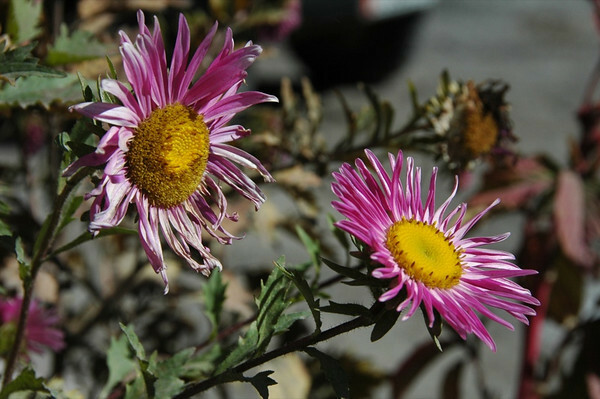 These flowers, although a bit past their prime, brought provided contrast to the golds and browns that defined the autumn landscape between Osh and Sary Tash, Kyrgyzstan. 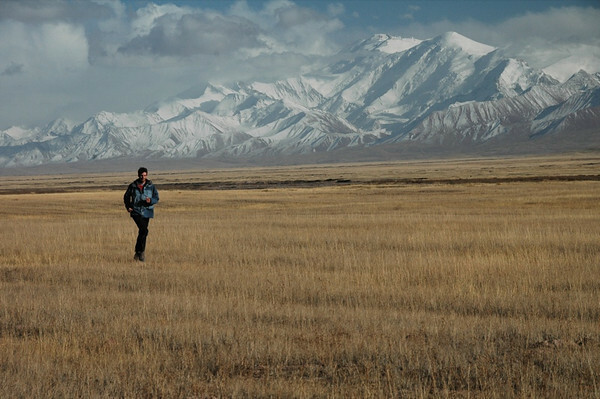 Read more about our adventures in the Pamirs. Autumn in southern Kyrgyzstan provided us spectacular layers of variegated landscape. Our driver exhibited remarkable patience with our endless requests of "maybe, stop, photo" in broken Russian. 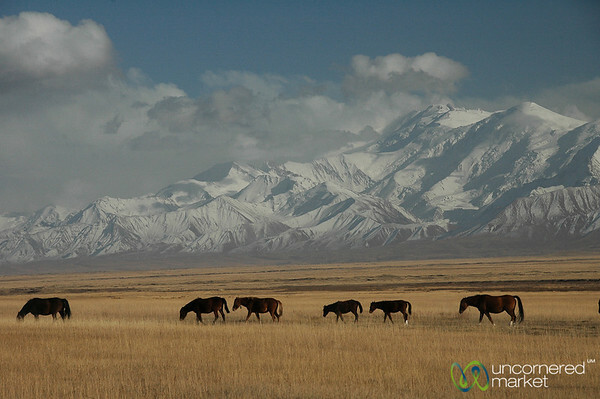 Taken in the Alay Valley between Osh and Sary Tash, Kyrgyzstan. 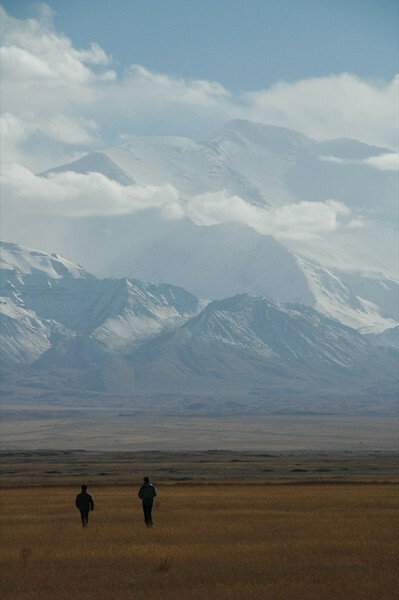 Read more about our adventures in the Pamirs. Road signs warn of sweeping turns and steep drops. 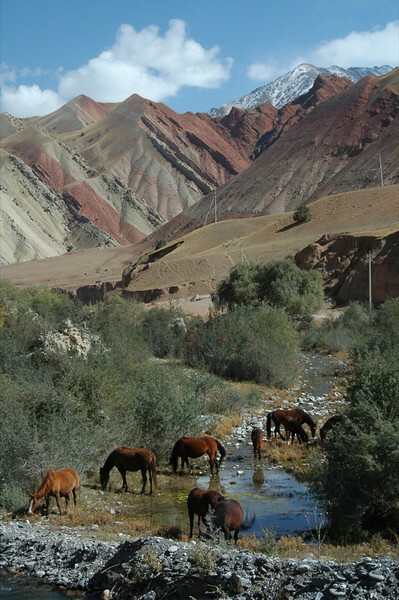 Taken near Gulcha, between Osh and Sary Tash, Kyrgyzstan. 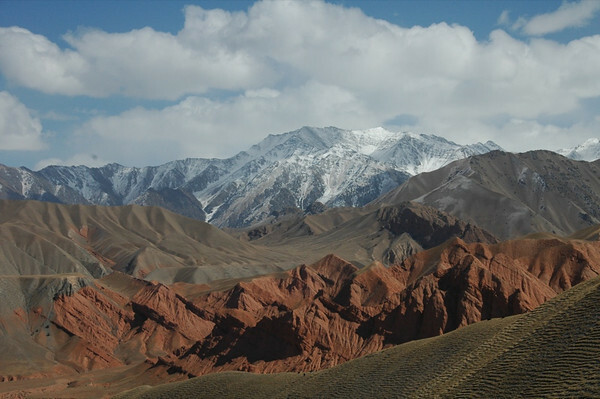 Read more about our adventures in the Pamirs. 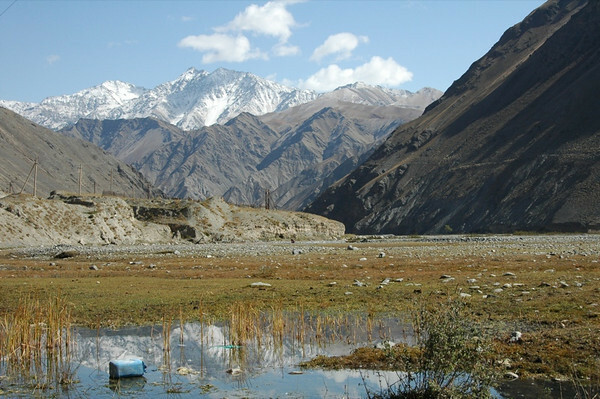 The road between Osh and Sary Tash was flush with mountain scenes, including this odd one with a blue jug floating in a pool of mountain runoff. 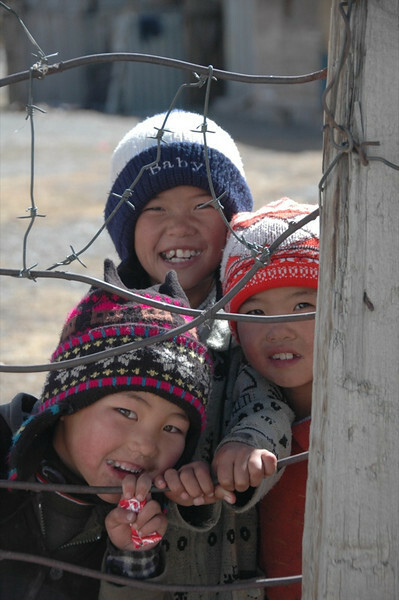 Read more about our adventures in the Pamirs. 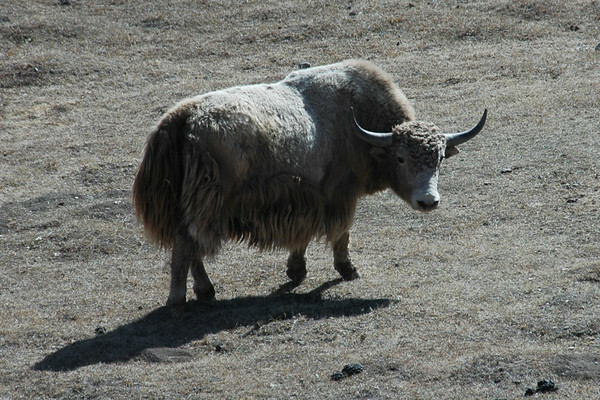 Yaks make for an exciting find on the climb into the Pamir mountains. Their physical constitution apparently makes them suitable to raise in mountain areas. 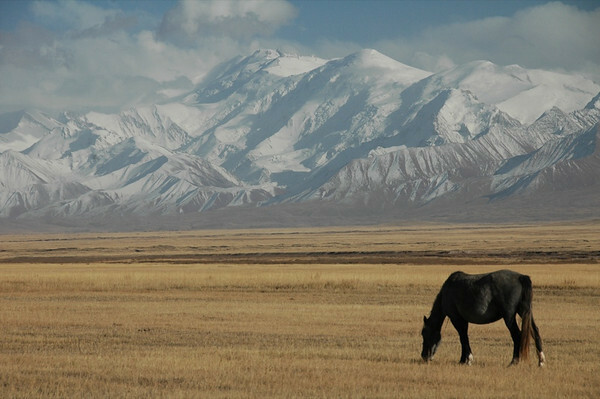 We found this one between Osh and Sary Tash, Kyrgyzstan. Read more about our adventures in the Pamirs. 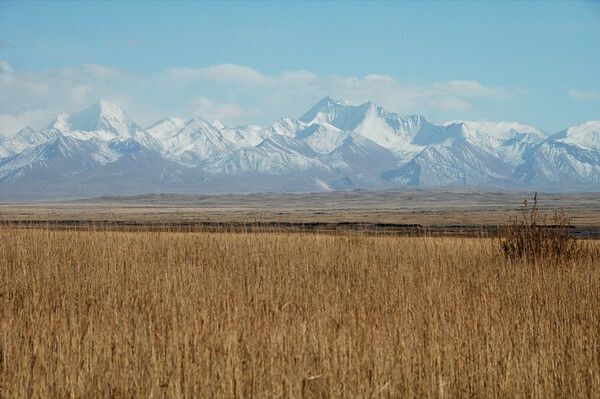 Burnt grass creates a dramatic setting between Sary Tash and Sary Moghul, Kyrgyzstan. 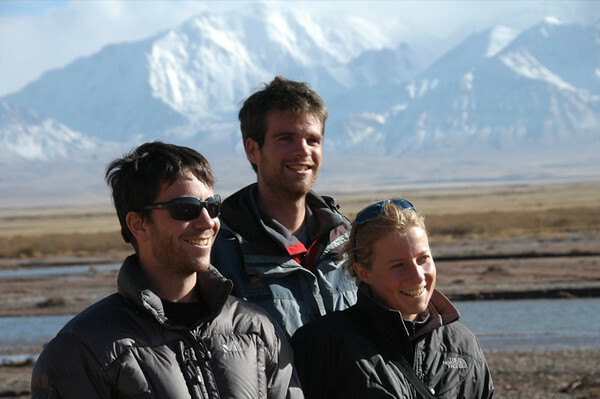 Read more about our adventures in the Pamirs. 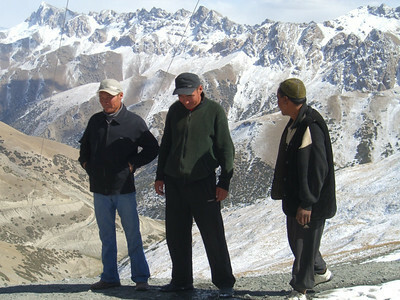 Some truck drivers take a well-deserved break at the Taldyk Pass (3615 meters) between Osh and Sary Tash, Kyrgyzstan. Read more about our adventures in the Pamirs. Hugues, Veronique and Sebastian take in the sunshine near Pik Lenin in Kyrgyzstan before we cross into Tajikistan. Read more about our adventures in the Pamirs. We pose for the camera for a change in front of Pik Lenin (7134 meters) in Kyrgyzstan. Read more about our adventures in the Pamirs. 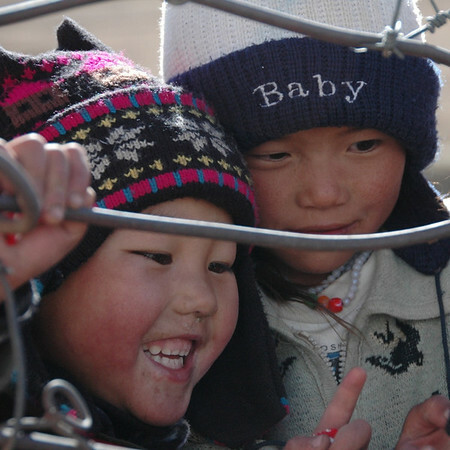 Dan gets some kids to ham it up upon our arrival in Sary Tash, Kyrgyzstan. Read more about our adventures in the Pamirs. 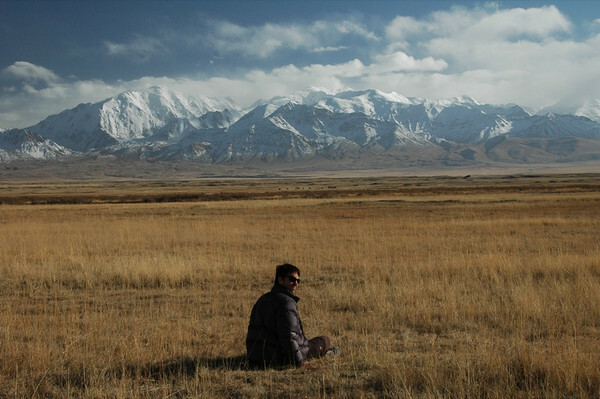 Hugues takes a moment to reflect in the shadow of Pik Lenin in southern Kyrgyzstan. Read more about our adventures in the Pamirs. Pik Lenin (7143 meters) decides to make an appearance. Between Sary Tash and Sary Moghul, Kyrgyzstan. Read more about our adventures in the Pamirs. Taking a break near Lenin Peak (to the right of this photo) between Sary Tash and Sary Moghul in Kyrgyzstan. Read more about our adventures in the Pamirs. Between Sary Tash and Sary Moghul, Kyrgyzstan. Read more about our adventures in the Pamirs. 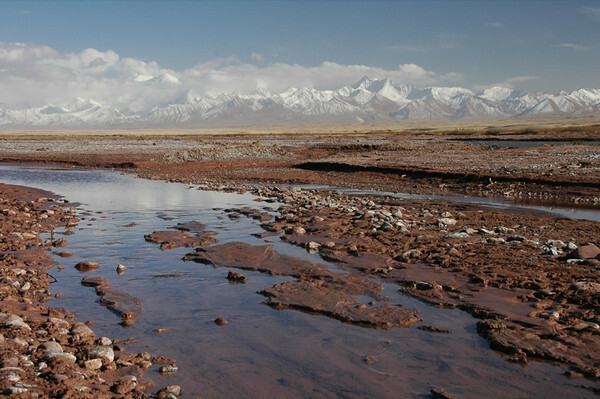 Between Sary Moghul and Sary Tash, Kyrgyzstan. Read more about our adventures in the Pamirs. 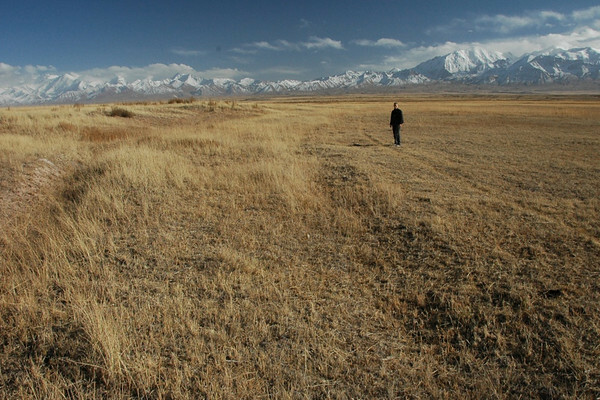 Sebastian sprints across the fields in front of Pik Lenin in southern Kyrgyzstan. Read more about our adventures in the Pamirs.